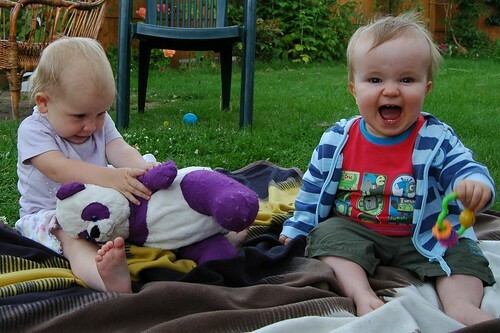 Amaia with her big wee cousin, a photo by PhylB on Flickr. Today Alasdair came back to play with me. He is funny when he roars like a dinosaur!